Learn algebra by seeing how expressions react to your touch. Say you have x+3=5, you can drag 3 to the other side of the equation. Visually play around with the terms without the tedium of paper and pencil. 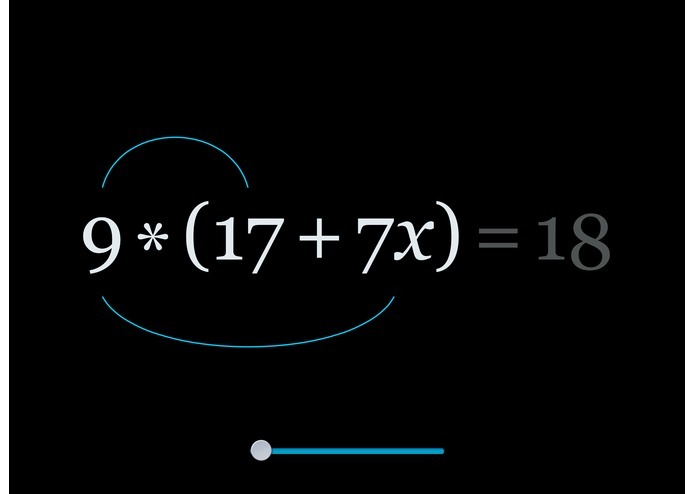 You can draw lines to cross out identical terms in a quotient, pick up terms to rearrange, and tap to factorize. 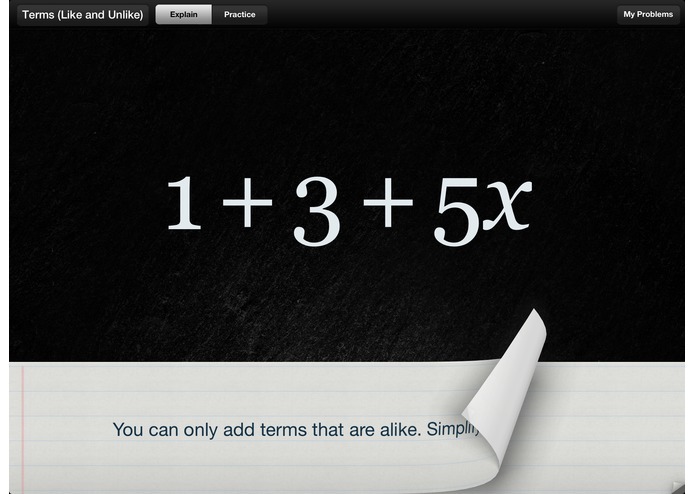 You can also do something to both sides of the equation at once by tapping on the equals sign. 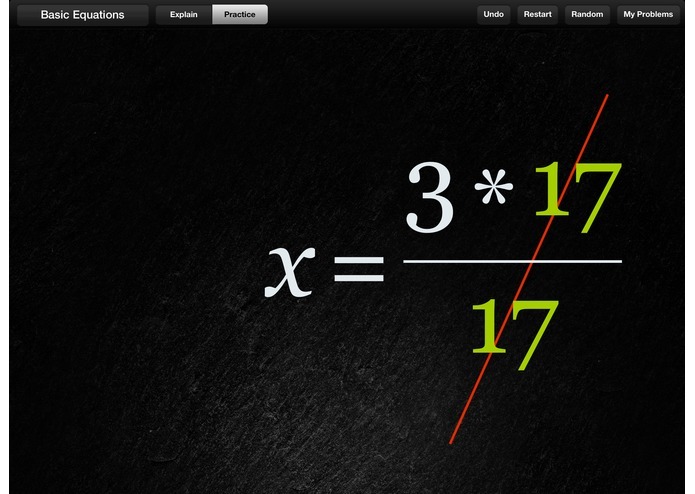 Comes with 21 interactive lessons, as well as random problem generators for each lesson. You can also create your own sets of problems. 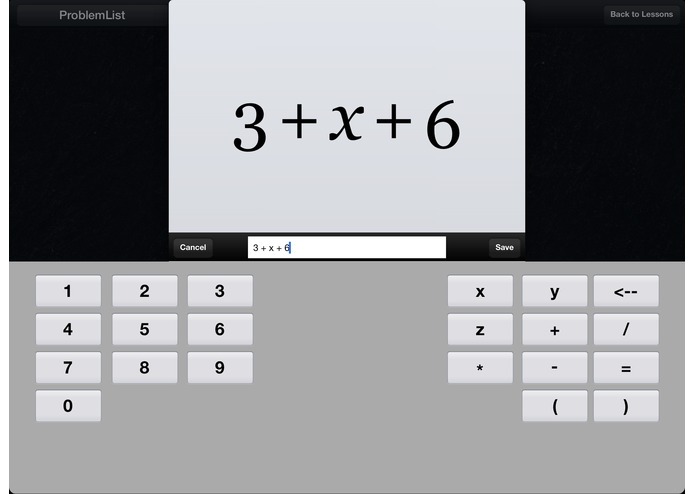 Current material covers: Simplification, Like Terms, Commutativity, Order of Operations, Factorization, Prime Numbers, Elimination, Isolation, Variables, Basic Equations, Distribution, Factoring Out, and Substitution.